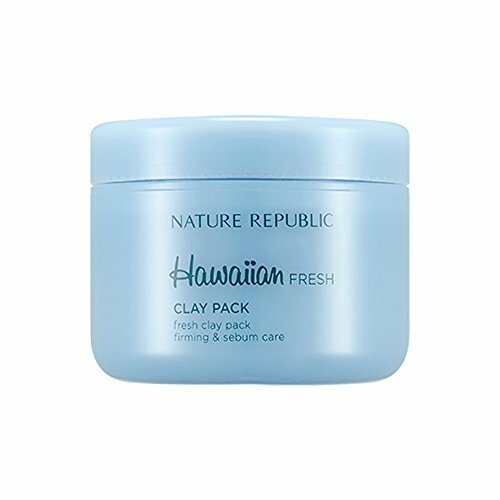 Nature Republic Hawaiian Fresh Clay Pack 95Ml by Nature Republic at Elastic Heart. MPN: unknown. Hurry! Limited time offer. Offer valid only while supplies last. After washing the face, Apply proper amount evenly on the face excluding eye and lip area. After 10~15 min, wash it off with lukewarm water well. After washing the face, Apply proper amount evenly on the face excluding eye and lip area. After 10~15 min, wash it off with lukewarm water well. Using 1~2 times a week is suitable. If you have any questions about this product by Nature Republic, contact us by completing and submitting the form below. If you are looking for a specif part number, please include it with your message.